Kemp’s wife and daughters sat behind him, wiping tears from their faces as he spoke. The new governor did not mention the conservative agenda that was at the center of his Republican primary campaign. That agenda includes tough abortion restrictions and a religious freedom law that critics say would allow discrimination. Instead he touted a more moderate agenda he had highlighted during the general election that includes expanding access to health care, increasing teacher pay and supporting Georgia businesses. Kemp said he would support businesses large and small by cutting taxes and red tape. Kemp was sworn in Monday before a crowd gathered at a stadium in Atlanta. Sylvia Turnage of Blairsville, Georgia said she had followed Kemp’s political career for years and was excited to get to see him sworn in. Turnage said she liked Kemp because he pledged to support the agriculture industry and rural Georgians. Republican Brian Kemp is set to be sworn in as Georgia’s 83rd governor Monday in Atlanta. The former Georgia secretary of state rose from underdog status to clinch a Republican primary runoff with tough talk on immigration and a nod from President Donald Trump. His general election campaign against Democrat Stacey Abrams was marked by accusations of voter suppression and mismanagement against Kemp, who served as the state’s chief election officer during his run. 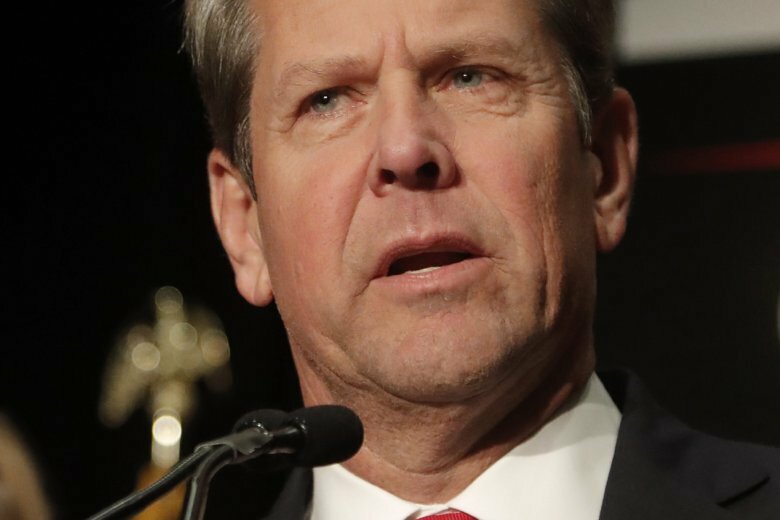 Kemp vehemently denied the claim, pointing to record-setting voter registration numbers. Kemp has promised to pursue conservative policies including signing tough abortion restrictions and a “religious freedom” bill that critics say allows discrimination against gay and lesbian citizens.